16 Oz. Bone In Sirloin Steak! Home > Mother's Day Dinners! > Maine Lobster Shore Dinners! > 16 Oz. Bone In Sirloin Steak! This Is An Outstanding Steak! Hand Cut 16 oz. Bone In Sirloin! This Cut Is Very Nicely Marbled Thru And Thru With Little Waste, Just Pure 100% Natural Great Steak! 8 oz. Black Angus Filet Mignon • 5 to 6oz. Medium Size Maine Lobster Tails! • 8 to 10 oz. Large Maine Lobster Tails • 10 to 12 oz. Extra Large Maine Lobster Tails • East Coast Oyster Sampler • Lobster Roll Kits! 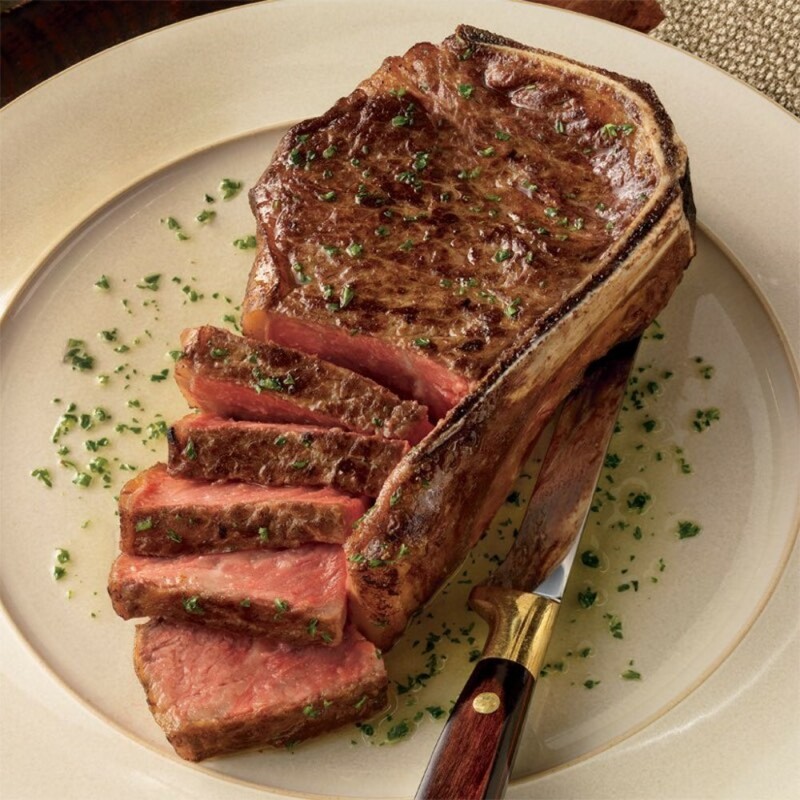 These Big Bone-In Sirloins Are Just Phenomenal! These Steaks Are Hand Cut And Average About An Inch Thick, And Are Ideal For Grilling! This Steak Has Suburb Flavor, You'll Really Enjoy It! Capt. Timmy Loves A Great Steak, Too! That Is Why We Offer Only All Natural Steaks That Are Hand Cut And Aged To Perfection! Premium Aged Beef! Order Our Mouth Watering 16 Oz. Bone In NY Sirloins By 10am EST, And Enjoy Them For Dinner Tomorrow! Our Filet Of Beef Also Make A Great Gift Idea For Your Favorite Beef Lover! How Easy Is That! 5 to 6oz. Medium Size Maine Lobster Tails! We ordered these bone ins to go with the lobster tails and chowder. We have tried the filet steaks, outstanding as always, I think they are better than the ones from online meat companies to be honest, and the new bone in sirloin is excellent as well! really good flavor, nice cut, and no waste at all! We will order more for the Holidays for sure with some scallops. thanks for having such great stuff. We ordered these with our lobster tails for Valentine's day dinner. They were as good if not better than what you get at a steak house. Tender, a ton of flavor, and no fat, just as advertised! Lobster tails and stuffed shrimp were outstanding as well!